CommentsThe India-Africa Forum Summit (IAFS) is the official platform for African-Indian relations, a celebration of the close partnership between Africa and India. It is an acknowledgement of the shared history as well as future prospects, and is of the belief that India and Africa share the similar core values and cherish the same dreams. The summit was first held in 2008, from April 4th to 8th in New Delhi, India. The second summit took place at the Ethiopian capital, Adis Ababa, with India and 15 African countries participating. The 3rd edition of the India Africa Forum Summit 2015 is taking place from the 26th to 29th of October in New Delhi, India and has the largest participation so far. Its a privilege to welcome leaders of African nations for @indiafrica2015. 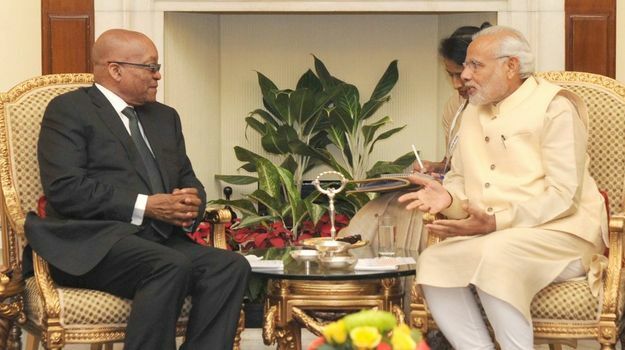 The summit is historic & will deepen India's ties with Africa. This is the current government’s biggest diplomatic outreach involving delegates from a large number of African nations. It is also by far the largest-ever turnout of African leaders in India, unlike the previous summits where the event was restricted to only 10-15 African countries. South African president Jacob Zuma, Egyptian president Abdel Fattah el-Sisi, Zimbabwe president Robert Mugabe and Nigerian President Muhammadu Buhari have confirmed their presence in New Delhi for the India-Africa Forum Summit. 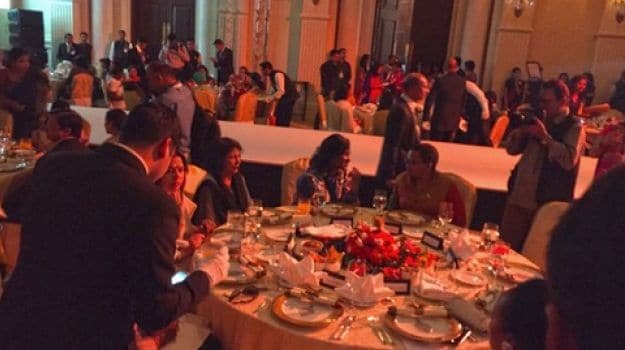 And while they attend one meeting after another, and discuss significant aspects of the India-Africa partnership, the First Ladies have a packed itinerary too. One of India's best Chefs, Kunal Kapur has been working on the menu for a feast, showcasing Indian cuisines to 42 First Ladies, today on the 29th October 2015, the last day of the India Africa Forum Summit 2015. Chef Kunal decided to try something new and engaged his social media fans to build his menu for the event. What a fantastic way to put more heads together and also make his followers feel the excitement of the summit! PM Modi in the UAE: What was on Sanjeev Kapoor's Lunch Menu for Day Two?